Welcome to the website of the Friends of Rowley Hills. 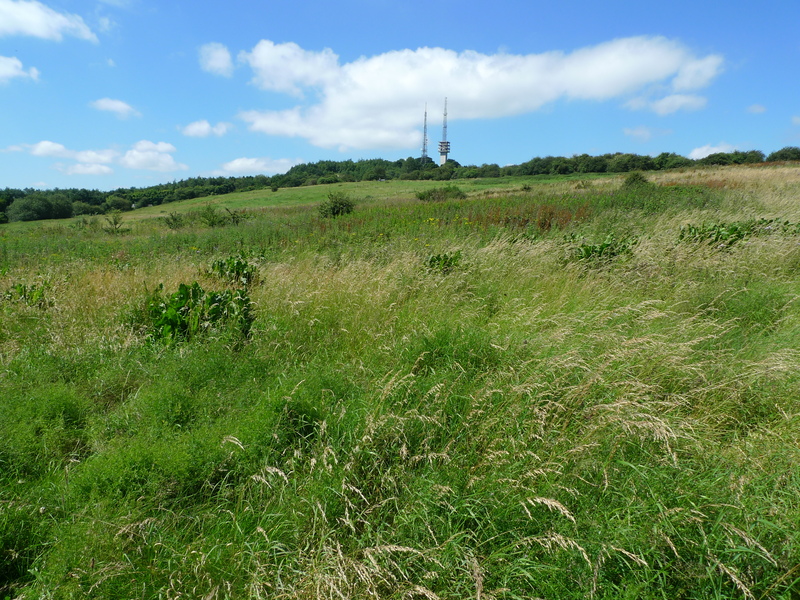 Our aims are to conserve and enhance the Rowley Hills for the benefit of wildlife and the local community. The Rowley Hills are a range of four hills – Turner’s Hill, Bury Hill, Portway Hill and Darby’s Hill – located within an urban setting in the West Midlands. One of the largest areas of grassland in the county, the hills are a haven for nature within the city, are of huge geological interest and have a fascinating history. The hills are a butterfly hotspot thanks to the numerous wildflowers which carpet the grassland in spring and summer; species such as Marbled White, Green Hairstreak, Small Heath, Common Blue and Small Copper may be seen. 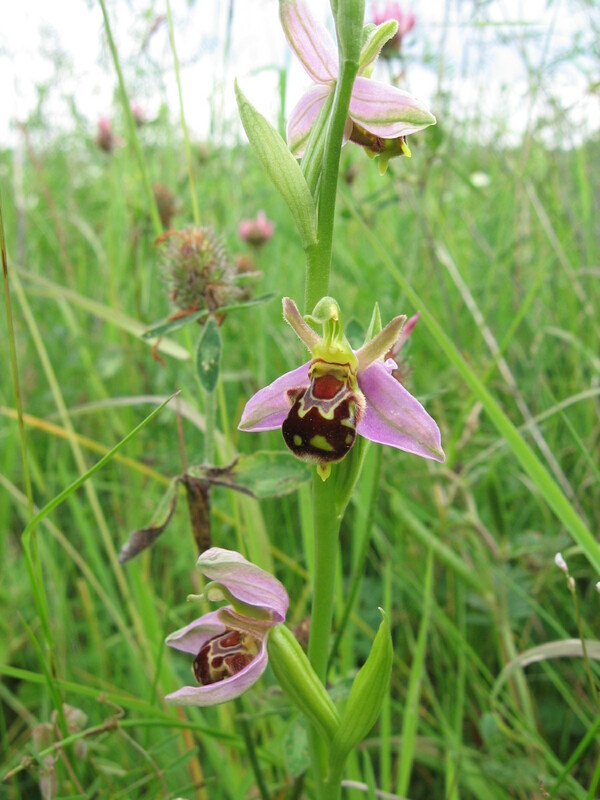 Many beautiful wildflowers and grasses provide ideal habitat for butterflies and other insects, including Bee Orchid, Hare’s-foot Clover and Yellow Rattle. Their elevation means that the hills can attract unusual bird species on migration; they are also excellent for birds of prey including Kestrel, Peregrine, Buzzard and Sparrowhawk, and for warblers in spring and summer. Most of the Rowley Hills have either SLINC (Site of Local Importance for Nature Conservation) or SINC (Site of Importance for Nature Conservation) designation. On Portway Hill exposures of the Rowley Rag, a hard dark grey rock which formed from molten magma within a volcano 300 million years ago, form a dramatic backdrop to the living landscape. 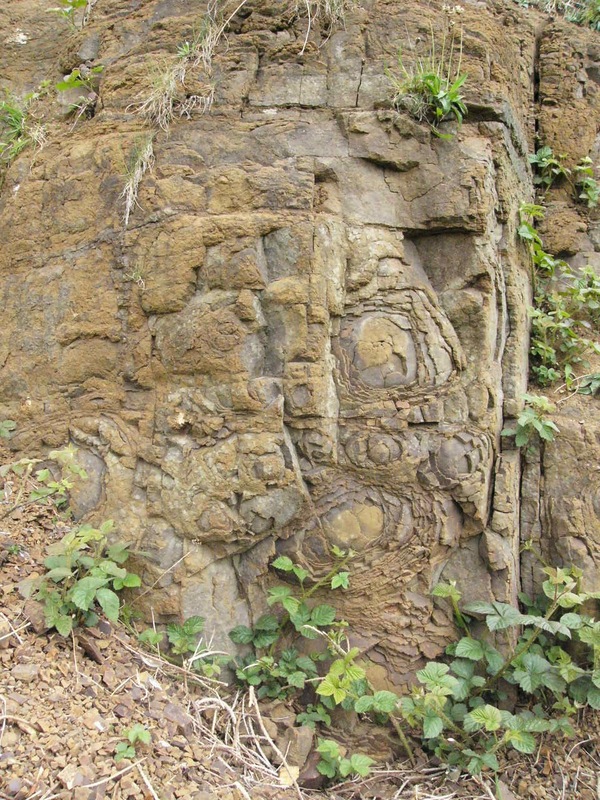 Many interesting features may be observed including spheroidal weathering and columnar jointing. The Rowley Rag has been extensively quarried and at various times used for kerbstones, gutters, cobblestones and aggregate. Today, the quarries are disused and most have been filled in, leaving nature to take over the site once more. The Hills are open to the public all year round; why not come and enjoy the natural and industrial heritage to be found in this unique Black Country gem? I live in the area and woukd very much to join the group. I’ve looked at the amazing photos on the gallery pages. They are amazing and show what a beautiful place we have on the Rowley Hills. Thank you for bringing all of this to our attention – we must spread the word and encourage others to come and take a look too – spring is on the way! Hi Anthony, I’m afraid as a non-native species they are not really suitable for planting in the Rowley Hills as they don’t bring much benefit to the native wildlife. Additionally they would be unlikely to thrive as the soil is not really good enough for large trees to grow. You could try offering them to a local park? While on my daily run through the hills I came across two very polite men who were tidying up some dead overgrowth. It’s an absolute pleasure to meet people who work so hard during there free time to help maintain such a rare and picturesque place. Please if you can get in touch and if you can help these guys out! I am keen to lend a hand, and look forward to joining in. “Tower Road NHW” on the neighbourhood watch website and please join. Hi Kitty, we’ve received your membership application – you should get an email from WordPress to follow our blog. Once you’ve approved that you will receive updates about our events etc.